In regard to vehicle maintenance, that’s the reason we change the oil in our cars, switch out the filters, and rotate the tires. We’re attempting to protect our investment and increase its life. You should certainly consider hearing aids in the same manner. 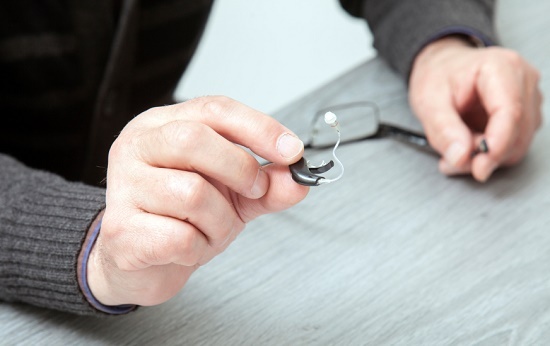 If you give things an opportunity to go wrong, they will; but if you’re proactive in your maintenance, your hearing aids can persist and function properly for years. So what are the things that can go wrong? Here are the three primary threats to your hearing aids and what you can do to defend against them. Enemy # 1 is physical destruction. Hearing aids consist of vulnerable electronics that are susceptible to damage from shock. To defend against this, make certain to store your hearing aids in their storage cases whenever you’re not wearing them. A good guideline is that your hearing aids should be either in your ears or in the storage case at any given time. Placing your hearing aids unprotected on any surface is just inviting Murphy’s Law to come and shove them off. Likewise, when you’re putting in or removing your hearing aids, it’s a good idea to do this over a soft surface in case they fall. Additionally, take the time to check and replace the batteries frequently. You’re not doing the circuitry any favors by forcing the hearing aids work on low battery power. Electronic devices and water do not mix, which anyone who’s dropped a mobile phone in the sink understands all too well. Once underwater, there’s not much that can be done. But it requires a lot less than complete submersion in water to harm your hearing aids. Water, in the form of mist, can still work its way into the hearing aids and begin causing havoc. For that reason, you should avoid using hairspray, bug spray, or any other sprays while wearing your hearing aids. Additionally, keep in mind that drastic changes in temperature can create condensation, for instance going from a climate-controlled room to the outdoors. If this happens, ensure that you dry off any wetness that develops. We also suggest not storing your hearing aids in the bathroom, as the condensation can create problems. This is yet another reason that your bedside table drawer is probably the ideal spot to keep your hearing aids when they aren’t in use. Even if you’ve shielded your hearing aids against physical damage and water with adequate storage and the prevention of moisture, you’ll still need to protect against opponent # 3: dirt and grime. Earwax, dirt, and debris can accumulate on the hearing aids, clogging the speakers, ports, and other parts. To defend against this, 1) sustain adequate ear hygiene, and 2) clean and sanitize your hearing aids on a daily basis. In regard to cleaning and sanitizing your hearing aids, make sure to use only the equipment provided by your hearing professional. Your hearing professional can supply cleaning kits and guidelines specifically for your type of hearing aids. And finally, think about purchasing a hearing aid sanitizer. Sanitizers make use of ultraviolet light to thoroughly kill pathogens, all while supplying a safe place for storage.